Little, Brown Books for Young Readers, 9780316465670, 48pp. Molly Idle's work as an author-illustrator includes the Caldecott Honor Book Flora and the Flamingo, Flora and the Penguin, Flora and the Peacocks, Flora and the Chicks, Flora and the Ostrich, and Tea Rex, Camp Rex, Sea Rex, and Santa Rex, among other books. She lives with her family in Arizona, and invites you to visit her at idleillustration.com. 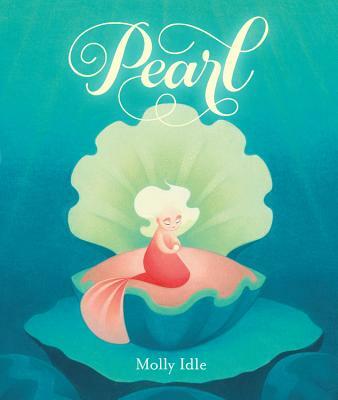 [*] "For her fable about patience and perseverance, Idle has created stunning watery spreads, full of curves reflecting the gently scalloped edges of the giant clam that is Pearl's home. ...Careful word choice and thoughtful phrasing make this a pleasure to read aloud. A gentle, glowing lesson that even the smallest efforts can lead to large, even environmental results."